Today was one of those cold but sunny Winter days which force you to wear warm layers and sunglasses simultaneously. I’m nursing a nasty cold but who can afford to stay indoors, on a Saturday, in the middle of Winter, when the sky is blue?! I layered up pretty well with a wool dress with knitted hemline (Mango) and my favourite double-breasted coat – a green, military-style number I got from Mango a few years back. I particularly like that it has an unusual bias cut. For footwear I decided to go with my suede ankle boots which are perfect for cold but dry Winter days. My mum knitted this beanie for me in a couple of days. She’s talent that way. Sometimes I wish I’d paid more attention all those times she tried teaching me how to make these things. Now, all I can knit is a really long scarf! 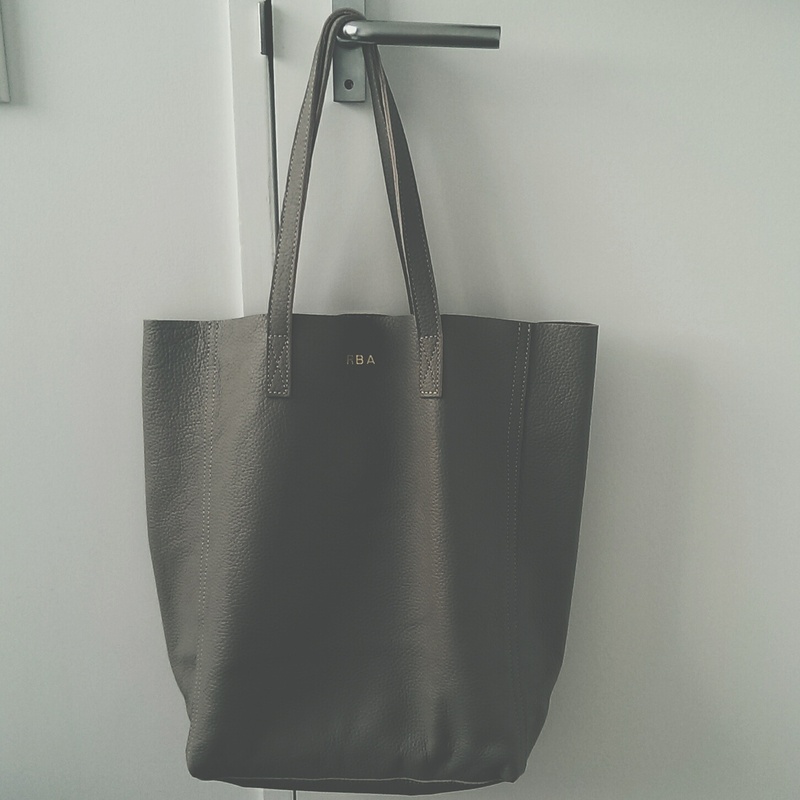 The Cuyana tote I’ve had for about a month now. I really just wanted to test-drive it for a while before sharing my two-cents. I picked up the tall style in the colour Stone. The design of this tote is nothing but simplicity and functionality. I use it everyday to work and carry in it my lunch-bag, any book I may be reading and other bits and bobs. Cuyana’s tote is crafted in Argentina of 100% local leather and, initially, I was a bit concerned about carrying it around in the rain. I walk to work so was worried that rainy days would damage its soft leather. However, I’ve found this to be of no problem. This tote is all it’s supposed to be – a sturdy, practical bag that can handle the day-to-day. When it comes to creating a functional wardrobe, there’s nothing like finding the perfect bag that will certainly help you on that journey to fewer, better things. 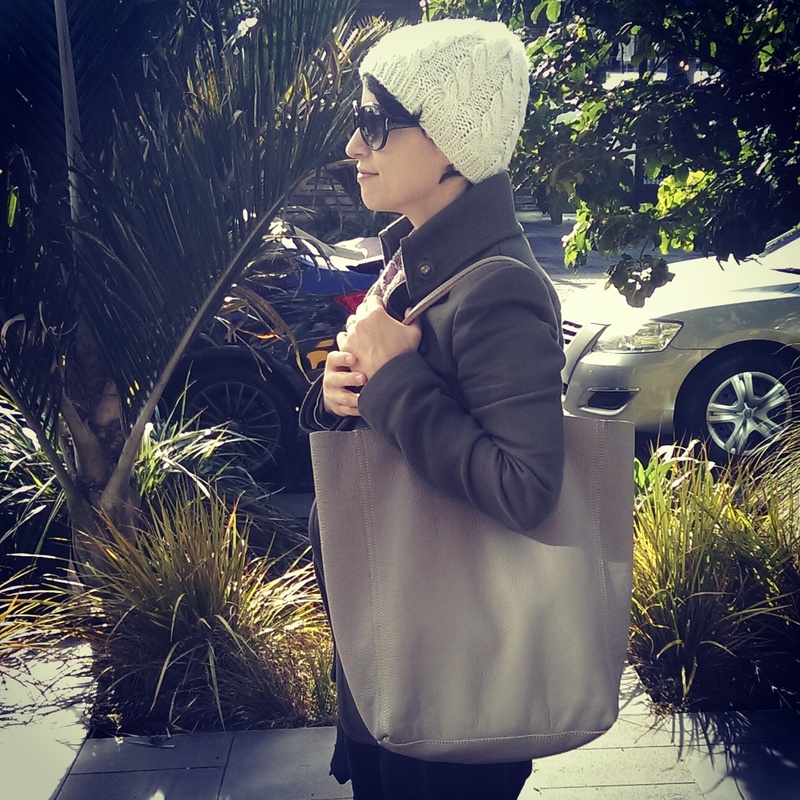 This entry was posted in Bags, City casual, Out for walks, Weekend and tagged Ankle boots, Cuyana Tote, layering, OOTD, Tote, Winter. Bookmark the permalink. I have a Coach bag that is just perfect and I usually bring it everywhere. Lots of secret pockets, beautiful design and since it’s black it goes with everything. Love the colour of your coat and the beanie is too cute.